Be a Member now and enjoy exclusive benefits with your loved ones! 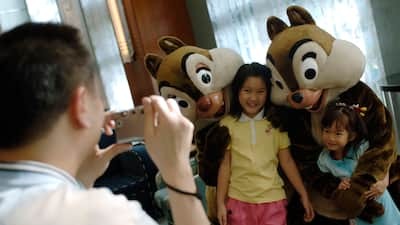 Experience even more magic of Hong Kong Disneyland in 2019, as we bring your favorite Disney stories, and the latest and greatest from The Walt Disney Company, to life – with colorful special events throughout the year. Enjoy member-exclusive privileges including Welcome Program, Free/Discounted Parking, Dining and Merchandise discount up to 25% off. Offer ticket(s) can be purchased at Ticket Booths located at the Main Entrance to the Park through July 14, 2019. Offer ticket(s) purchased online only valid on the date of redemption and must be redeemed on or before July 14, 2019.